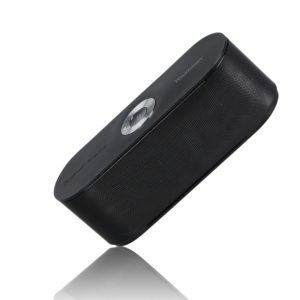 The beFree Sound portable speaker is a rechargeable speaker that provides incredible sound in any environment. With a 10 sub-woofer, this ultra-portable device combines pristine audio performance with convenient Bluetooth connectivity for wireless audio streaming. Its the ideal Speaker for BBQs, parties, outdoor sporting events, tailgating, presentations, fitness classes and anywhere else full-range sound is desired.